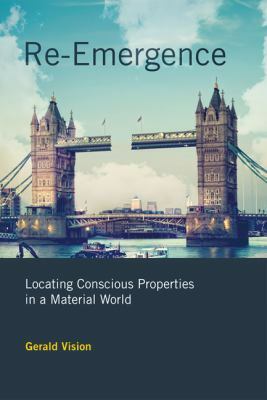 Re-Emergence he explores the question of conscious properties arising from brute, unthinking matter, making the case that there is no equally plausible non-emergent alternative. Vision defends emergentism even while conceding that conscious properties and states are realized by or strongly supervene on the physical. He argues, however, that conscious properties cannot be reduced to, identified with, or given the right kind of materialist explanation in terms of the physical reality on which they depend. Rather than use emergentism simply to assail the current physicalist orthodoxy, Vision views emergentism as a contribution to understanding conscious aspects. After describing and defending his version of emergentism, Vision reviews several varieties of physicalism and near-physicalism, finding that his emergent theory does a better job of coming to grips with these phenomena. Gerald Vision is Professor of Philosophy at Temple University. He is the author of Veritas: The Correspondence Theory and Its Critics (MIT Press, 2004) and other books.